Metal detectors are machines that are built with accuracy and information gathering in mind. They find the smallest (and largest) objects in the ground and water, with some of those being worth a lot of money. A good metal detector has the potential to find riches in the unlikeliest of places, and all you have to do is read the screen and listen to the beeps. Whether you’re interested in a starter set or standalone, metal detectors are a worthy investment. Product Dimensions: 6.5" x 9"
How Does Having Two Coils Help? Why Are Junior Models Hard To Find? Can A Metal Detector Be Submersed Completely In Water? Is There A Such Thing As A “Do It All” Metal Detector? Will Too Many Filters Hurt Search Potential? Do You Need A Specific Metal Detector For Gold Hunting? How Long Will A Metal Detector Last? The high price of the Land Ranger Pro shouldn’t keep users away from enjoying its incredible list of features. Variable Tone Breakpoint is one of those features, making it less of a chore to identify specific metals by sound. You can go through an entire area and hear a different sound each step of the way. Pinpoint mode is built into the product, with a depth indicator that goes deeper than other models. Waves from this mode penetrate the ground to find your product faster, and easier. It’s optional, so if you own a pin pointer it will remain useful in your everyday searching. Unique to the Bounty Hunter brand is the use of FeTone, also known as adjustable iron audio. It functions as a super filter for iron, and is still considered one of the best in the industry. The best feature of the Land Ranger Pro is the interface, a beautiful console that pulls all of these features together onto a large LCD screen. With it you can manage a lot of customized and auto settings, each with their own sub settings to make them more efficient. You could spend an hour playing around with the deep settings of the Land Ranger Pro- it’s that good. 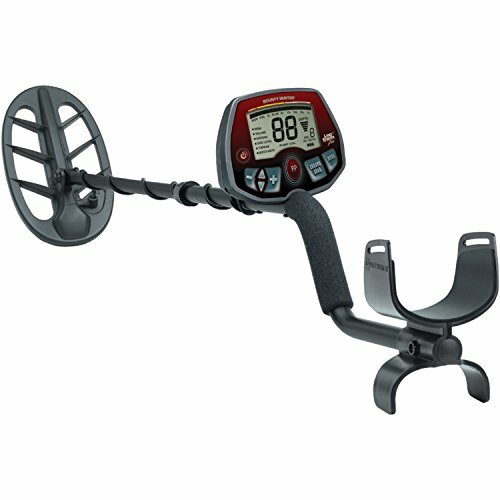 If you’re on the fence about a high tier metal detector, consider the Land Ranger Pro as one of the best. 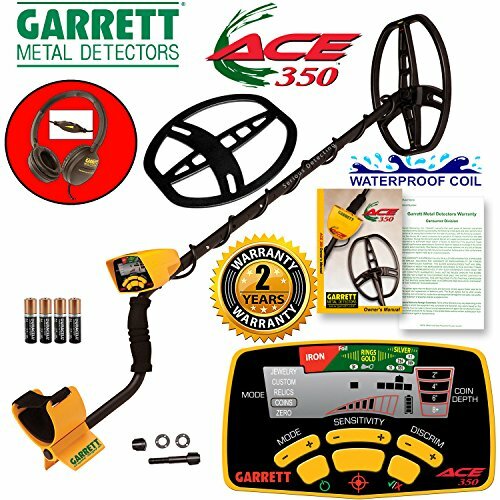 Second on the list is the Ace 350, a high priced metal detector that comes with a pair of headphones. These aren’t your regular throw-ins, as it is the Garrett ClearSound Easy Stow Headphones. They are premium quality, with inline volume control and rotating ear pieces. Unfortunately, they don’t use standard sized plugs so you’ll have to use an adapter with other devices. The headphones use a ¼ mm jack which can be found on the side of the metal detector. Getting a ¼ mm to 3.5 mm adapter isn’t expensive, so consider it a way to get a pair of expensive headphones for cheap. As for the metal detector, it is 8.5 11 in size and has one of the best coils from the company. It’s a DD submersible searchcoil, so can be submerged underwater. Users of the old Ace 250 will be familiar with the technical superiority of this device. Garrett has made improvements over the original design by adding a better searchcoil, enhanced iron discrimination and a higher frequency that finds more items. Console controls are clear in their use, with a nice sized LCD screen to monitor current settings and available materials. 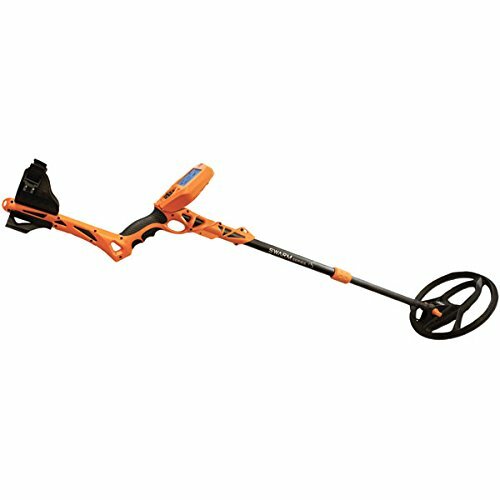 All of this paired with the five search modes puts this close to the power of a professional metal detector without the higher price tag. This is still the most versatile member of the Ace series whether you’re searching on land or in water. If the Ace 350 doesn’t do it for you, then this 250 starter set will make a world of difference. It is still high priced even though the 250 is a previous model. That just goes to show you how good the series has been over the years. Yet with all of the extras included in the set, the most interesting thing about this model is that it doesn’t include a pin pointer accessory. Instead they opted to build it into the metal detector, making for a very interesting setup with the controls. There are five search modes and an expanded target ID to play with, so there is no shortage of options to play with on the LCD. Large pushbutton controls helps the one handed operation of the model to be a huge success. But what about the extras? Inside the box there is an instructional DVD, digging trowel, treasure pouch, headphones, carrying bag and branded batteries. It has everything you need to get started and is a consumer favorite in the starter category. A hidden feature of the 250 is that it has a removable coil. If you desire a higher frequency or if the original coil gets damaged, then this is a game changing feature. The Ace 250 might be the best introduction to the series if you want a powerful all in one metal detector. Sometimes a lot of power is needed from a metal detector to get metals that you want. That is why the high priced AT Pro is a big deal from Garrett. It’s one of the most expensive items in their catalog, and for good reason. Both consumers and professionals consider it a great buy for metal hunting. Key features include the Pro Mode Audio, useful in providing a dynamic way to hear characteristics of targets. It’s similar to what a user would hear when they are dialed into all metal mode. And it also explains why headphones are included with the package. They are the Garrett MS-2 headphones, high quality set that is almost as good as their submersible headphones. 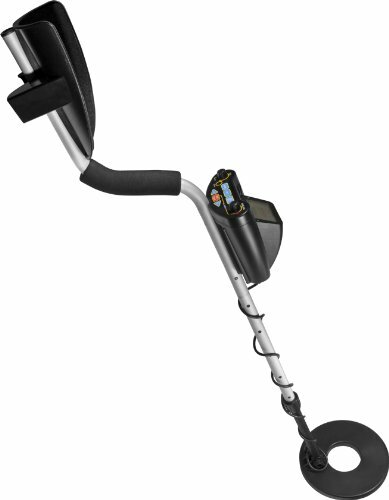 The AT Pro operates at 15 KHz frequency, a high mark for a consumer grade metal detector. Wavelengths penetrate ground quickly without depleting the batteries too fast. Iron discrimination settings go up to forty, with digital target ID going up to ninety-nine. A lot of customization between these two modes will lead you to any precious metal you’re after. Even if you’re in a trashy area, the recovery speed kicks in to locate filtered targets. Ground balance is set to auto but can be manually configured, so it is the best of both worlds for beginners and experts. Buyers that want the best Garret has to offer will be pleased with the effectiveness of the Garrett AT Pro. There are two versions of the high priced Coinmaster; the regular and the Coinmaster Pro. The main differences between the two have to do with frequency and available modes. Other than that, they are exactly the same type of device. The Coinmaster finds hard to see items with its intuitive coil and console design that lets you see and hear targets simultaneously. Although the control panel looks busy, it’s very well laid out once you get to it. Beginners will catch on quickly, using the buttons to further expand the filters so that it finds the objects they want the most. Accuracy is another strong point of this metal detector, as the depth reading screen lets the user know how deep they need to dig to get the object they want. Paired with a digging trowel, this is a very competent product for finding various metal objects. At only 2.5 pounds, the entire set is lightweight even for kids. Water resistance was built into the box and holds up well in heavy rain. Two 9 volt batteries come with the unit, so you’ll be ready to go right out of the box. Buyers that don’t care about big changes to notch discrimination and tone ID will be fine with the regular Coinmaster. Everyone else should get the Coinmaster Pro for the most return on their money. 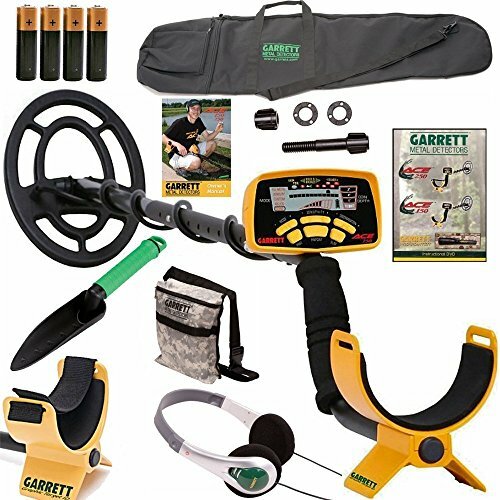 It’s a capable metal detector for all ages and experience levels. The Gold Digger is the first low priced metal detector on the list. That doesn’t mean that it lags behind in the feature department, as it is still one of Bounty Hunter’s best. Options are simple, and it uses a traditional control panel with two knobs. This makes it a perfect educational tool for younger searchers that want to learn the basics, and a great everyday metal detector for adults that just want the basics. You can key in all metal mode or trash elimination to filter out unwanted objects. Both modes work surprisingly well, using very little energy with both options set to high. Small objects are located up to six inches deep while large ones can be detected all the way up to two feet. It’s a good tradeoff depending on what you’re looking for, but the coil isn’t waterproof so it is for land only searching. Even with the low price, Bounty Hunter included headphones as part of the package. It won’t win any audio contests but it does the job just fine. Like all top tier products from the company, a five year limited warranty is included. Operating at 6.6 KHz, you’ll get a lot of cool stuff out of the ground. The only downside to this model is that you can’t adjust the ground control manually- it’s always on. Other than that minor con, this is a really great addition to the Bounty Hunter lineup. Customers may overlook the Gold Digger because of its low price, but that would be a big mistake. Count this as the first model on the list to be average in price. The Explorer II hits a sweet spot with accuracy, price and features. It is one of the smaller names in the sea of the big brands, yet it still brings something unique to the table. Starting out with the extras, batteries, headphones and a carrying bag is included. The standout here is the carrying bag, which is surprisingly well made. It offers both protection and flexibility, keeping the unit away from harm when not in use. A digital interface is used for searching, with the depth being clearly displayed on the screen. You’ll know how far down the object is in the ground before you start digging. When discrimination mode is set, filters are applied that prevents unwanted items from being picked up by the coil. Auto ground balance keeps the accuracy high, but like the last product it lacks a manual function. The stem is adjustable and made out of a high grade aluminum with good locking mechanics. Two 9 volt batteries are required but not included. It’s hard to place where the Explorer II ranks with the rest of the models, but it is one of the best. America Hawks did a good job with this series and it will serve most customers well. Sometimes a difference in materials makes a product valuable. 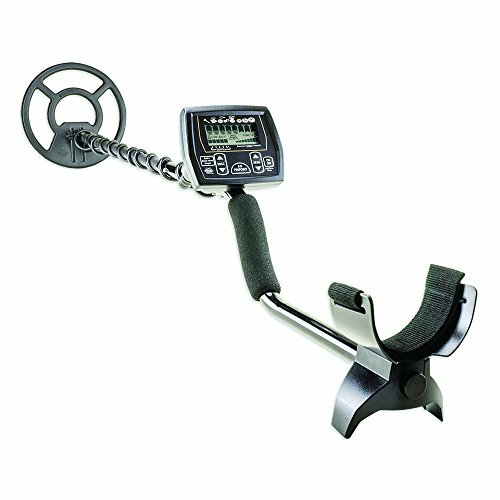 The MX200E is a high priced metal detector that is made of fiberglass and polycarbonate. That makes it the most durable and best constructed product on the list. It’s also unique due to the Geo-x GPS feature that lets you locate and save up to ten areas. You’ll find that Geo-x is helpful with keeping tabs on areas that are rich with metal objects. No product on the list has this feature, which is a shame since it’s so useful. Four elimination modes keeps you on target when looking for specific pieces. And if you need to filter it even more, there are eight metal categories. The MX200E is one of the few metal detectors that are so ahead of its time, that upgrading it isn’t even in the picture. It’s a futureproof product that is built to last and comes with features that are still being added to top tier metal detectors. Even little touches like the backlit interface on the large LCD screen add to its charm. One thing to note is that this metal detector is a battery hog, needing six AA batteries to operate. Branded batteries are recommended, as generic will just burn out in a few days. Innovative and one of a kind, the MX200E is a top three pick. This is the first and only kid’s metal detector on the list. Usually, when a company brands their metal detectors in the junior’s category, it is average at best. The MC1 Youth captures a lot of the good things about using a metal detector without dumbing down the basics. It uses a traditional interface with a meter, covered in black and lime green as its design. Kids will love the colors, and it has the added benefit of being visible in low light conditions. The MC1 youth is surprisingly powerful, with the ability to detect objects up to 24 inches deep. It is even beach compatible, as the 6.5 inch coil is submersible! There are adult metal detectors that don’t have a submersible coil, so this is indeed a big achievement. But there is a downside, and it has to do with the plastic construction of the unit. This is not built to take a lot of punishment. So while it shares a similarities in operation with adult metal detectors, it lacks the proper protection from damage. But with a low price and great learning curve, it is the ideal choice for a kid’s first metal detector. The Winbest Sharp Edition is the last metal detector on the list. It is a solidly built digital product that is high priced, but worth the money. Two operating modes are onboard, one for all metal and the other for discrimination. They are simple in function, but work great when you find an area rich with objects. Different tones will play based on the type of metal it finds. Extras included in the package are a carrying case that has the same great craftsmanship as the metal detector. Long periods of searching for objects is made easier with the padded armrest and rubberized handgrip. With an adjustable stem that goes from 24-34 inches, a lot of different configurations can be setup. The control panel keeps things simple but shouldn’t be underrated, as it is fit with multiple options to distinguish metal from trash. This is a great design for a digital interface, and it borrows a lot of its design from the traditional metered metal detectors. Barska is the creator of this series, and they are well known for cramming a lot of features into one product. The power draw is heavy, but manageable with eight AA batteries. It may seem like a high price to pay for the extra juice, but when using branded batteries they will last weeks before needing a change. Consumers will have an interesting choice with this model if they are comparing it to the rest on the list. It’s a metal detector at a price that is hard to argue with. The Timeranger is a high priced metal detector from Bounty Hunter that excels at information gathering and console display. As a heads up, buyers should be aware that this is a professional level display on a consumer device. It’s so advanced that spending a week with it will really make you appreciate the finer details of the design. Built in is four mode operation with a ground balance monitor system. Being able to actively check your status helps when filters are active and you’re still having trouble finding metals. If you still run into troubles finding things, the blanker system searchers deeper into the surface while getting rid of false signals above. It works fast, delivering results to the console in real time. You can have different tones depending on the type of metal it finds, as the three tone audio makes the target metals stand out. Once you get done with all of the deep options, consumers often gush about the five year limited warranty. This is a long warranty by electronic standards, and is delivered by one of the best companies in the business. If something goes wrong, you’ll be fully taken care of. Weight comes in at four pounds and the eight inch coil is just the right size to balance everything out. Only two 9 volt batteries are needed for operation, with the option to use generic brands if available. With the Timerangers beautiful display, it stands out above the rest of the choices. Brands that stand out the most are Bounty Hunter and Garrett. These two companies have the most popular series in the industry, with steady improvements added with each iteration. They are also the most reliable in terms of durability, longevity, ease of use features and extras. White’s Electronics is popular among some professionals for its complex features, some that remain exclusive to the brand. The company doesn’t have a go-to series like the other big brands, but they make up for it by having the best custom options. When the settings are tweaked properly, there is nothing a White Electronic product can’t find. The other brands on the list are a mix of a lot of things, mostly value buys. These are the smaller companies that keep the prices low but still give you the best mix of features for your money. Because of what you get, they are the best value per dollar, even among the bigger companies. The strengths and weaknesses of each company is easy to spot with a little bit of research. Brand specific strengths will stand out the most while their weaknesses will be a little more scattered. All of the brands listed provide a great value, leaving the choice of purchase down to personal tastes. Surprisingly, the most expensive model on the list comes from Garrett. Usually their products are average to high priced, so seeing them have the highest costing product on the list is new. But the new AT Pro is from their flagship series, so it is expected that it will cost a little more than the other products. Bounty Hunter has the lowest costing product, although they’re similar to Garrett by having different prices. Companies on the list will have a large assortment of metal detectors, even beyond their flagship product. So there is a lot of variety no matter what limit you set on spending. There is of course a lot more to choose from in the low and mid-price range brackets, but they are all of great quality. Pricing is a big deal with metal detector starter sets. You get more out of the package than a standard metal detector, so they are allowed more flexibility with pricing. The big deal with getting a starter set is having everything you need out of the box. While it may seem that they are priced for beginners, many experienced users have become consumers of starter sets. Having the opportunity to find different types of metals all over the world is made possible with a metal detector. The usefulness of these devices extends beyond the consumer level, and they are used by professionals. That is why prioritizing the most important features is important for the average consumer. Ignore marketed power features and go for the options that you plan on using the most. Pinpoint Mode – When normal sweeps don’t find the objects you want, pinpoint mode is there to save the day. It finds things that normal sweeps miss, and may be the most effective way to find certain metals. The downside to activating this feature is an increase in battery life. You can save a little power by using headphones while in pinpoint mode. Ground Grab – This feature automates the ground balancing process on the fly. Manually handling ground balance is fine, so this is considered a convenience feature. It also gains usefulness when you’re in an area with problem ground. A metal detector with good ground grab will take all of the guesswork out of making corrections on the fly. Target ID–Target ID has been a big metal detector feature for years. This is why the console on a metal detector is so important. Consumers getting metal detectors for the first time may prefer digital Target ID’s, but the traditional ones with a meter function just as good. Target ID’s tell you what type of metal is being transmitted at the time. Audio ID – The more tones it has, the better. Even a device with 4 tone audio ID will be a big help when searching for precious metals. When you’re not in silent search mode, the audio tones let you know what type of metal you’ve come across. These are short familiar audio cues that are easy to memorize. Once you get used to it, hearing a specific sound will become second nature while using the detector. If you don’t want to use audio ID, a silent function is available so you can just use visual cues. Variable Notching – Good discrimination modes will keep metals that you’re not interested in off of the radar. With variable notching, you have more control over the devices core functions when searching. It lets you customize specific entries that match the user’s personal tastes. These settings usually carry over even when the device is turned on and off. Light Weight – A heavy metal detector wears on your arm and shoulders. That is why all of the listed products are low weight and easy to manage. They are built for balance by making sure that the coil end isn’t bottom heavy when using. With light weight, longer search sessions are possible without sore muscles. Adjustable Length – This is an important feature for a number of reasons. You want adjustable length so that you don’t have to reach down a lot. When using a metal detector on the beach, you can be a good distance from the water while still submersing the coil. In areas where being on foot is undesirable, having a little extra length makes the purchase worthwhile. High Operating Frequency – An average operating frequency is fine, but it is the high ones that really find the special metals. Remember that all of this power needs to be paired with a coil that can handle the extra juice. So if the device is from a reputable brand and has high operating frequency, consider it the deal of a lifetime. Low Power Use/Backup Battery – Metal detectors that have low power use will last for long periods of time before the battery needs to be replaced. They will also function well even when used with generic batteries. Models that support a backup battery can run on a single battery instead of their required two. When the full amount is used, it kicks in so that you have an extra boost of power. Padded Arm Support – It seems trivial, but the small amount of padding added to the arm support does the trick. During long sessions of using the device, it keeps your arms from getting sore. When doing repetitive movements for hours at a time, the padding really shows its benefits. Interchangeable Search Coils – Being able to change out the search coils helps when you’re searching for specific kinds of metals. It is also helpful when your original breaks and a replacement is needed. This keeps you from having to purchase an entirely new metal detector because a single part breaks. Starter Kit – A starter kit is a package that is not only great for beginners, but has usefulness for professional users. Usual inclusions are headphones, a carrying bag, digging trowel and pinpointer. Each starter kit has different extras, so there is enough variety to make different companies worth a look. Premium Headphones – Premium headphones provide great audio quality while shielding the user from outside distractions. In areas that are noisy, premium headphones are great to have. Some of them even use standard inputs so that you can use them with cell phones, tablets, laptops and even desktop computers. Higher grade materials and extra padding make premium headphones more durable than other types. One Touch Controls –Users can operate the metal detector without having to use their free hand to adjust controls. This is one of the most important features of a metal detector, and is also one that ultimately determines the type of design it uses. Bad designs usually mean a lack of intuitive one touch controls. Waterproof Coil – With a waterproof coil you can submerse the coil in water to search for metals. Even if it isn’t waterproof, there is a high chance the device supports water resistance. So at the very least, most major brands can be used in heavy rain conditions. Geo-x GPS – This is a rare feature reserved for a few high end metal detectors. It saves specific locations into memory while also helping you to locate specific hotspots. When you use it with the other options like metal categories, it turns searching into a seamless activity. You’ll spend a lot less time searching and the bulk of your time finding items. The higher the memory count for this feature, the better it operates. Coil size will come into play during the buying process since there are different ones to choose. The industry standard is eight inches, and is considered the all-purpose size that is the best of both worlds. When you want to go smaller or larger there are benefits to each that will sway you one way or another. Small – A small search coil has the strength of better targeting when dealing with trash targets. In an area where you are searching for specific metals, you’ll have better luck using a smaller search coil. You’ll also gain the benefit of better balance when using for extended periods of time. The smaller coil is lighter, and based on the design it will be easier to use without arm fatigue coming into play. Consumers that are considering purchasing this for their kids will get a good deal. Large – A larger coil has the physical benefit of covering a larger search area. But in truth they offer much more, and are often used in low mineralization and trash areas. Certain models are even able to increase depth penetration up to fifteen percent. While their search improvements are efficient, the extra weight is where the cons come into play. Larger search coils weigh more, and if the design of the metal detector is inefficient, then users will get arm fatigue quickly. Coil size can sometimes be mandatory in a competition, leaving users with no choice but to adhere to the guidelines. 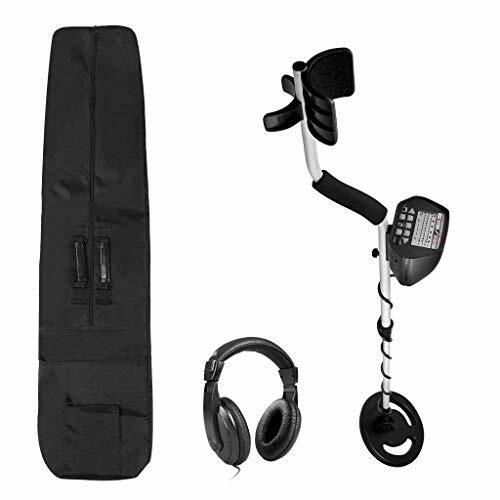 A good idea to accommodate all types of users is to buy a metal detector with removable coils. That way you can always have the type that fit your searching parameters. Price doesn’t seem to fluctuate on coil size. All sizes seem to carry the same value regardless of their pros and cons. Battery life is something that users have to deal with when cycling through the various search options. Every device has different power options, but the big thing is whether or not they have a large power draw. When the metal detector is made with power savings in mind, you can use generic batteries and still gain massive benefits with all control panel options. Big power draws in the options are ground stabilization, certain metal identifier options and pinpoint mode being active. You can count on these three options having a strong effect on the amount of energy being drained from the battery. Another thing to consider is the amount of power being used for sound. You use less power with headphones on than when you have the sound going through the metal detectors speakers. This is a little known fact that can save you if the battery is currently running on low. Devices that use their own rechargeable batteries will have much longer runtime since these are proprietary. They were made from the ground up to deal with the power draw of the unit. These rechargeable batteries will make the most out of the hardware they were designed to be used in. Metal detector designs vary by manufacturer, but they usually retain a similar looks. The coil is at the bottom and it is attached to a long pole with a handle. There are padded armrests near the handle so that it can be used with one hand. The control panel faces the user, and is situated right where the handle curves. Over 90% of the models on the market use this design, but the difference is not all of them have an exposed coil wire. Some models choose to keep the wire internal, but they all connect from the control panel down to the coil. More variation in how the design is made comes from colors, padding amount and comfort features. This is how models differentiate themselves from one another. A good example is with headphone jack placement. Having it at the bottom of the control panel may be more beneficial than having it on the side. It’s a small difference, but one that influences buying decisions for a lot of customers. You can also make a decision based on the amount of buttons available to the user, since more buttons offer a higher level of customization when searching for metals. Inside a metal detector package will be a lot of things, depending on if you purchased a starter pack or a regular one. The most common inclusions are headphones, with some being high quality and multiple device compatible. Wearing headphones saves batteries and isolates important tones from the metal detector. Coil covers are included with almost all metal detectors, and they are used to protect the coil from damage. Some are soft and stretchy while others are hard plastic. Either one will do as long as it protects the device from outside damage. A separate pin pointer is an additional tool added, usually to starter kits. It mimics the pinpoint mode of a metal detector but has better overall mechanics. You’ll get more use out of it, especially if you have a helper with the search. Also in starter kits are digging trowels, great for general use but usually for when you are searching on the beach. If you have a bag, putting the digging trowel and pin pointer inside will help out big time. If a product has a lot of extras, the price may go up a bit. But it is still worth the investment since it’ll be cheaper than buying them all separately. The long unprotected pole that connects the coil and the console is stronger than it looks. Even with the coil wire wrapping around it, you won’t have to worry about damage. Metal detectors with high adjustments are just as strong, capable of absorbing light to medium damage without affecting its usefulness. The only portion of the metal detector that may be susceptible to damage is the glass or plastic on the control panel/console. You can protect this vulnerable portion by putting a screen protector over it. Nothing fancy, just something to protect it so no scratches interfere with what you see. Wires getting accidentally cut shouldn’t be a problem unless you intentionally take a knife to it. Coil wires are reinforced tightly around the pole, so even if they accidentally come into contact with something sharp, they’ll still remain intact. Buyers that plan on doing a lot of underwater searching won’t damage the coil if it is waterproof. Pay attention to the small details, as waterproof is different than water resistant. Getting the two mixed up will cause actual damage to your device, and there is a good chance it may void the warranty. Being successful with a metal detector depends on multiple things. In order to guarantee the effectiveness of the device, these are the most appropriate things to prioritize. Adjustable Length – The longer it adjusts to, the better chance you’ll have at finding something in water. You’ll of course need a waterproof coil, but having the ability to reach further out in water will extend your coverage area. Pinpoint Mode – Built in pinpoint mode is great if you don’t have an individual pin pointer. It also helps to have it included in the base unit since it makes one handed operation that much better. With this mode, you have access to a depth indicator to find rare materials. Operating Frequency – Remember that the operating frequency is still dependent on other core features in order to be effective. So having a high frequency on a crappy metal detector won’t do you any good. But when properly added to a quality brand, a high operating frequency is the most useful feature to bank on. Discrimination Mode – The last thing you want to deal with is trash items. Discrimination mode is an all-powerful filter that makes sure the device is only searching for metals that interest you. A higher frequency doesn’t always mean that the metal detector will find everything in the ground. Single frequency and dual frequency are the most used types, with the latter found in higher end devices. There are advantages to all frequencies, which range from 3-100 KHz. Average frequencies for metal detectors are between 7-8 KHz, but even with the same numbers they all perform differently. The easiest way to look at metal detector KHz is its relation to electronic waves, or the amount that goes into the ground. So at 7 KHz, a metal detector will send and receive 7,000 times a second. This is a lot of information passing back and forth between the coil and the ground. Low frequencies are poor at finding smaller targets. It goes deeper into the ground and finds high conductivity targets. High frequency has shorter wavelengths (more information per second) and can detect smaller objects, excelling at finding low conductivity targets like gold. There is also a boost in accuracy when searching for these metals. 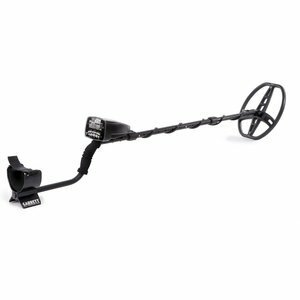 There is no need to try for the best of both worlds if you get a dual frequency metal detector. But if you only desire specific types of metals, choosing a model based on frequency is better. Electronic devices need good warranties to back them up when something goes wrong. All of the intricate materials inside an electronic device makes it a chore to do repairs on your own. And with the dangers of water on contact, you can lose full functionality in a matter of seconds. Metal detectors are not just electronic devices, they are made to be used outside. That adds an extra element of danger to messing with the mechanics. The good news is that they are reinforced enough to withstand common outside elements. Metal detectors aren’t made of paper, so they won’t fall easily to extended outside use. Even so, having a good warranty will make sure you’re protected if something does go wrong. The length of the warranty is a big deal, so look for contracts that offer initial long durations or the option to extend. Bounty Hunter has a great warranty program, and you can usually get five years as a default with purchase. Other companies have similar lengths, but don’t be surprised when you see a single year warranty. If you’re careful with equipment, then a single year warranty should suffice for daily use. Waterproof coils are not the same as water resistant coils! It is important to note the difference between the two and not confuse them. Water resistant coils are useful for rainy day searches. Heavy rain will have minimal influence on the efficiency of the product. Their usefulness in rain makes them a great tool for consumers that don’t want to be limited by weather. Waterproof coils have the same functions, with their major difference being able to go underwater. Submersing coils underwater lets you use it on places like beaches and other areas where the water is shallow. Most of the consumer grade waterproof metal detectors won’t operate higher than 30 KHz, so the price is still reasonable when going with a top brand. There are a lot of things you can find in water that aren’t available on land, so combined with a good discrimination setting a waterproof coil is great. Anything more powerful than the consumer version isn’t necessary unless you’re a professional. Going higher than 30 KHz for a waterproof metal detector will raise the price by a considerable amount. Users that don’t need their coils to go underwater can save money by going with a water resistant model. The more modes a metal detector has, the better filters it comes equipped with. Discrimination is one of the many you can choose from, but it is only the tip of the iceberg. Modes can be mixed or customized to your personal preference. Getting the most out of the features in this category has a lot to do with being familiar with the controls. Ground Grab – This is an automated ground balancing mechanism that adjusts settings on the fly. Proper ground balancing helps the metal detector to give accurate readings when searching for metals. It balances between positive and negative settings depending on the surface. Some models let you manually adjust this setting, offering a much richer search option for experienced users. But even professional’s leave ground grab on for searches where it is ideal. Discrimination/All Metal Mode – Discrimination rules out materials you aren’t interested in while all metal searches for everything. With audio tones set up right, all metal mode is an informative experience about what’s under your foot. Stereo Mixed Mode – This is an interesting way to hear all metal in one ear and target audio in the other. It is balanced, and gives you the best of both worlds. Using headphones with metal detectors is a good idea even if outside noises aren’t a problem. Stereo mixed mode by itself is why using headphones is a superior choice. Brands that include headphones with their products have the choice of using the standard 3.5 mm jack or a proprietary one. 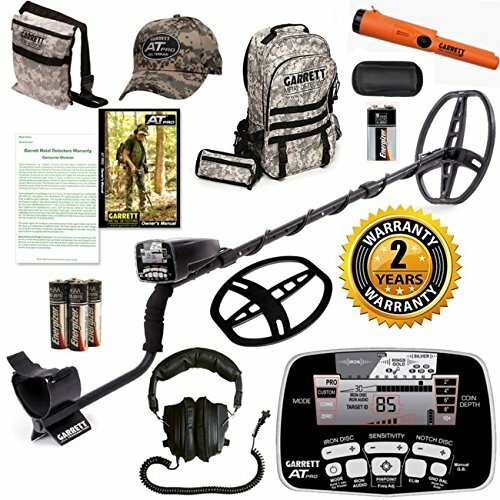 The former will let you use your metal detector headphones with all supported products. You could listen to music on your phone, unplug the headset and then use it with the metal detector. Universal use helps out a lot of consumers that don’t want to carry multiple headphones. Quality of included headphones has improved over the years, and now high tier sets are available from some brands. These are the most valuable to get, as they produce the best sound and offer the best shielding from outside noise. When a standard pair is included, it’s smaller and focuses on delivering sound. There is no sound isolation in its design, so if possible you may want to stick to the high tier option. Thankfully, if your metal detector uses a 3.5 jack then you can use your own headphones rather than the one included. The size of a metal detector is something you want to look at for various reasons. Weight/length determine how taxing using the product will be on your body for long periods of time. If you have shoulder, back or arthritis problems then you need to consider how much of an impact it will have on your body. Check out the weight/length of the product you’re most interested in using for hours at a time. By experimenting this way, you’ll know whether you need to go with a smaller metal detector or can move up in size and get a bigger one. When sizing metal detectors for kids, the process is a lot more complex. Companies have specially made junior products that have a lot of the adult functions but are stripped down to fit a child’s build. They are good models, but they lack a lot of the fundamentals of the adult models. Depending on your child’s experience, it may be preferable to fit them with an adult metal detector. Adjustable sizing will help, and allows children to use the same product as adults without it being too much of a burden. It all comes down to personal preference and what the body can handle. Metal detector wands are also known as security wands. You’ll find them in heavy use in airport security. They are also popular anywhere where checkpoints are setup to look for foreign objects on a person. A metal detector wand acts as a second line of defense after going through the initial checkpoint when the alarm goes on. With a wand, you can narrow down what offending material set the checkpoint alarm off. With wands a lot of time is saved, and in turn a lot of lives as well. Advantages of using wands is their portability and one handed operation. A button is held down when it is in operation, so the product is very good on batteries. It is even forgiving for generic batteries, lasting months without needing a replacement. It’s not uncommon to find metal detector wands used outside of normal security measures. They are a true multipurpose detecting tool, and can always be used in conjunction with other devices. Medical professionals are even starting to use them in place of generic x-rays when they’re looking for specific materials. Prices remain low for the wands, so for any interested consumer it is a good value. Junior metal detectors are marketed for use by kids that want to learn the ins and outs of using the device. It is fully functional, and has a lot of the core features that makes adult versions effective. 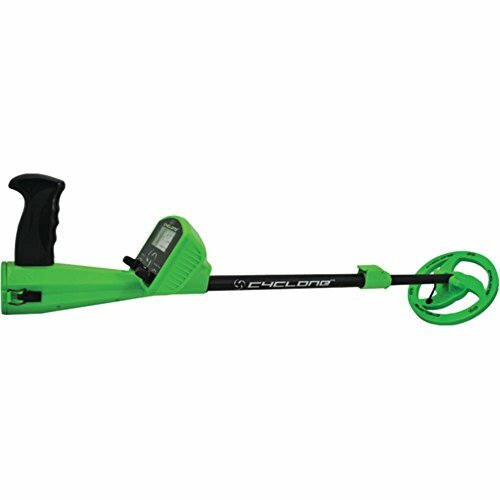 The first thing you’ll notice about a junior metal detector is its smaller size and length. Even the coil is smaller in size, making it much easier to handle balance along the entirety of the product. Arm fatigue isn’t a problem because of this, and you can count on it being compatible with children of all sizes. Buttons and options are simpler in these models, so it isn’t uncommon to see the bulk of them use a traditional control panel. The metered design is used since the digital version and all of its information would confuse beginning hunters. For the size, junior metal detectors do a nice job of finding coins, gold, silver, iron, steel, brass and other metals. Now as far as the downsides, junior metal detectors are still weaker than their adult counterparts. They still serve as a good introduction to the world of metal detectors without overwhelming kids. Brand preference will also grow at this stage if the company offers an adult version. The lines get a little fuzzy when you compare consumer products versus professional ones. With metal detectors, the difference comes down to power and manual options. These two things are usually what separates one type from the other. With power, it is all about the KHz the metal detector supports. Consumer grade products are looking for simple metals like gold, iron and other valuables. Professional metal detectors look for much more, and are often used onsite in big projects. Because of this, they need an insanely high KHz that would otherwise be useless if a normal consumer had it. This in turn uses up a lot more battery power, which is why a lot of professional metal detectors come with built in heavy duty batteries. This extra support ensures they can handle a full day’s work. Consumer metal detectors are made for ease of use, with manual options available where needed. But you will mostly find that automated features are a priority on these types. For professional metal detectors, manual options are mandatory. The user is experienced so needs full control of even the smallest tasks. Automation kicks in only at the user’s discretion. There are over 99 unique tones that can be heard, so having good audio quality helps to distinguish the differences. Metal detectors will have different thresholds on their tone limits, but even when it is on the low side there is a benefit to having good sound quality. When listening from the speaker, it has to be loud enough to register in an open area. Metal detectors with low volume make it difficult to hear tones that are assigned to the metals you’re after. This leads to a reliance on the control panel, as you’ll be afraid of missing something important while searching. That doesn’t mean it is completely eliminated with headphones, since the device has to be loud enough and clear so that you can tell the tones apart. This is especially true for stereo mixed mode, where audio quality is an absolute must. Metal detectors that lack good audio will always put you at a disadvantage when searching for materials. The good news is that you can counteract bad audio design (somewhat) by using quality headphones. It isn’t a 100% foolproof plan, but it does help out since you can’t replace the audio mechanism in the device. You’ll miss out on some really interesting features by ignoring expensive metal detectors in the high tier. But that doesn’t mean anything if none of those features will be used. The only time shopping by price will make sense is when you’re comparing starter sets to a non-starter sets. There is a small increase when going from water resistant coils to waterproof coils, yet not enough to make a huge difference. Where things get complicated for the average consumer is with futureproofing. You get a better long-term value with an expensive metal detector. Those features that you don’t plan on using may be necessary years later. Without a way to upgrade low priced products, you will be forced to buy a new metal detector in order to adapt to current industry changes. So choosing between the low and high price is all about finding a balance between value and ownership years. For some it is more beneficial to go with the low cost option when they plan on upgrade a few years later. Once you find what you’re most interested in, deciding by price becomes a lot less confusing. Make it a point to create a priority list with the features you value the most. 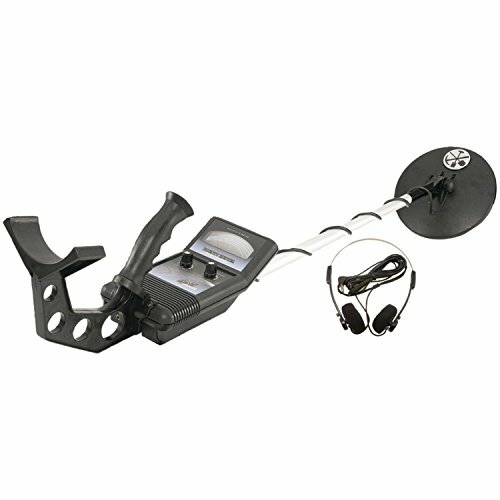 Consumers get the best of both worlds by getting a metal detector with dual coils. Each coil will represent a specific KHz that excels in metal hunting. As an example, one coil might be 7.5 KHz while the other is 18 KHz. A removable coil set like this also good for repairs/replacements, making it trivial to swap out damaged parts. Replacing the coil is much cheaper than buying a brand new metal detector. Not all models will have removable coils, and the most popular brand that offers it is X-Terra. The other type of metal detector to mention in this category is rare, and it has two actual coils on it at the same time. The implementation is tricky, but it indeed works as advertised. All of these are considered professional grade, although a few have become popular at the consumer level. They require a lot of preparation and experience, so buying them just for the power is not recommended. Brands with removable coils are much easier to use for the average consumer, and have better documentation to explain how they work. As a bonus, you also won’t pay a large price upfront for a two coil design. Buyers should consider this one of the easiest decisions to make when buying a metal detector. Protective covers are included with most brands, and they usually protect from both rain and dust. Although full carrying bags are available for purchase, protective covers do a good job of taking care of the most important part of the product. They’re also easier to remove when you’re ready to start searching again. There are two cover types available; hard and soft. Soft – Allows more flexibility when storing and traveling. As a tradeoff there is less protection from hard hits that it comes into contact with. A well placed hit could damage the coil, even with the soft cover on. Soft covers are inexpensive to replace if you lose the original ones that come with the metal detector. Hard–With a hard case you lose flexibility but gain much needed protection from hard hits. Even if something falls on it in storage, chances are the device will be fine. Depending on the type of material they use, hard covers can be locked or ‘clicked’ closed. It isn’t unheard of to own both types, so consider that an option when you want coil protection. This is the second most important part of a metal detector. The control panel puts you in full control of the devices best features. A good console keeps buttons close and labeled, with a clear and easy to read screen. You’ll run into two types when making a purchase, traditional and digital. Traditional – Usually consisting of two knobs and a couple of buttons, traditional is recognizable by the metered interface. It gives a lot of information without cluttering the screen with too much data. That is why it’s the default console for junior metal detectors. But don’t mistake the simple interface for being out of date. Traditional consoles can be just as useful as digital if you have enough searching experience. Digital–Digital control panels throw a lot of information at you and are more likely to have built in auto features. With a large LCD screen and clear visual representation of your settings, it’s much easier to manage customized setups. Even complex personalized tones are a few button presses away with digital interfaces. Power draw is about equal with any interface, so there are no boosts in performance with batteries. Power users should always default to using digital interfaces to have full access to options. Starter sets come with everything you need in one box. They can be small and contain only two extra items, or they can be expansive and have a full set of items. Both options are an inexpensive way to get a lot of great searching materials at a low price. Buying all of these pieces separately would cost more money than purchasing a starter set. With every set being different, users will have a lot of products to choose from. Garrett is the current starter set king, and has put together a lot of the better sets in the industry. Headphones are popular, and can range from simple bands to full stereo isolation sets. If you get the higher end, they have quality similar to brands like Bose and Beats. A digging trowel is always a good choice to include in a set, especially if you do a lot of searching on the beach. It’s small but strong, and will break through dirt with ease. Digging trowels are a great alternative to other tools thanks to its superior size and surprising power. You can expect to crush light and medium duty digging tasks with a digging trowel. There are a lot of ways that weight is calculated into the overall build of a metal detector. The coil is going to be the heaviest part of the package, followed by the console. With these two parts being on opposite ends of the detector, they balance one another out. It still wouldn’t be comfortable unless they added an armrest with padding. So coil, console and a padded armrest is where the bulk of the weight comes from with a metal detector. Brands have to be sure that one side isn’t heavier than the other, as it is all about balance. You don’t want the overall weight of the product to be high, and you also don’t want one end of it to be heavier than the other. Anything under four pounds is good, although it isn’t uncommon for heavy duty professional models to go over that mark- but only by a little. Weight distribution is also one of the many factors that makes the second hand coil market nonexistent. If you want a replacement coil, you have to get it from the brand. Generic coils would prove too difficult to market as they would lack the compatibility for universal access. Although there are metal detectors with a built in pin pointer, this section will be about the separate accessory. Pin pointers are used with more than just metal detecting, and has been popular with hunters for years. They are small handheld metal detectors that makes it easier to find a target. Once your large metal detector does the heavy work, take out your pin pointer to get into areas that may be difficult for a larger device. Holes, crevices and more benefit from having the small and versatile specifications of a pin pointer. Despite their heavy usage rates, pin pointers don’t cost a lot of money. If you don’t receive one in a starter kit, then it is recommended to buy one separately. Batteries last a long time, and they are so small that you can put it in jeans pockets. Smaller treasures that were hard to track will now be within your grasp. Some features work out better than others with these devices, but you can get away with the bare minimum and still reap the benefits of owning one. The only time you need to go out of your way and get a fancy pin pointer is when the price is too good to pass up. A metal detector has the ability to extend so that it’s longer in reach. This is a useful feature for taller users, and it is an accommodation that most major brands include by default. Extended the length also helps with getting to places out of reach. Submersing in shallow water is another area where extending the length would be beneficial. All of these situations rely heavily on the max extended length, and also the quality of the lock that the company has built into the device. A bad lock leads to catastrophic situations where the extension isn’t secure. If you find that the locking mechanism is loose or doesn’t work at all, calling in the warranty is recommended. You risk damaging the product due to a faulty locking system. Whenever you secure the extended length, it should be tight and secure. All ‘notches’ or lengths should be tested for the same security, even if you don’t plan on using them. If it turns out the locking system is really bad, cease all use until you get it fixed or replaced. Remember that the coil is not safe when the lock is malfunctioning. It’s not that junior metal detectors are hard to find, it’s that quality models are a rarity. There is only one junior model on the list worth noting, and it is considered the best in its class. A good junior metal detector has all of the qualities of the adult models but in a smaller size. Some core functions are expected to be stripped out, but for the most part it should serve as the perfect introduction to metal detectors. Customers also have the choice of getting their kids an adult metal detector with an adjustable stem. There are a couple of models that are perfect for this, so the gap is even smaller for junior metal detectors to break through. You won’t get an accurate answer since this depends on several different factors. How much power does the product draw? Most metal detectors have low power draw even when they are running in a high powered state. So the next thing to look at would be the type of batteries used. Mixing batteries and using generic batteries will cause the lowest runtime. Branded batteries are the best, although there are plenty of generics that do the job just fine. Count the battery argument as another reason to doubt the accuracy of averages. The last thing to consider is individual runtime when looking for objects. Some users may search for objects hours a day, while others will barely make a couple of hours a month. Usage time is probably the biggest factor in determining battery length. Your best bet to maximize power of the product would be to go with branded batteries, but remember that it is not always necessary to do that. No, even if the coil is rated as waterproof. In the specifications they will tell you two important things about waterproof coils; how many inches/feet that can be submersed, and whether it can be used in both saltwater. These two things are extremely important when buying a metal detector for its waterproof qualities. Damaging a metal detector in water is the quickest way to void your warranty, even if it is from one of the big branded companies. If the specifications aren’t listed clearly, always check the website, manual and even consider making a call. Any of these is preferable to winging it, where a bad situation can cost you hundreds of dollars. Maybe. Dual coil metal detectors are mighty close to being the greatest innovations in the industry. The problem is that they are meant for professional labor, where their price and feature options are out of reach of the average consumer. And even for professionals, dual coil metal detectors still lag behind in certain areas. So on the consumer level, the answer is no. The good news is that professionals will be the first to break in a ‘do it all’ metal detector. That means the version that gets passed down to normal consumers will be well tested. There’s nothing wrong with setting strict search filters. They are there to be used, that’s why the device doesn’t throw you an error when you turn them all on. There is a dizzying array of customization options available in a top tier metal detector. All of them serve a purpose, so not using them would hurt your search potential. Filters save time, and most importantly they save the power drain since you’re not in all metal mode. No. The metal detectors you see that market themselves as great for finding gold are not special models. They are tuned better to find gold, but there is nothing special about their design that gives them a tremendous edge over a regular metal detector. Going the professional route and acquiring a nugget detector is the only reason to stray away from regular consumer products. So if you don’t want to start a large enterprise of some sort, then stick to regular tier metal detectors for your gold hunting. Depends on the brand and how well you take care of it. There are consumers still rocking the old Ace series, running at full speed with no problems. You can even go to a shop and see many of the old traditional metal detectors from the 70’s that still work fine for today’s purposes. The only reason to upgrade a metal detector has to do with it breaking, or a significant upgrade in technology. Both are rare with metal detectors, which are considered durable for outside use. Bad batteries being left in too long and leaking acid are the main causes of metal detectors dying. So in short, nothing to do with the metal detector failing on its own. If there are too many choices to make, consider getting a starter set. It is everything you need in one package. Other than that, all of the information available should give you a general idea of what the best choices are. As long as you do a price vs. value comparison, it’ll always be a winner.